Some products meet customers’ expectations. However, we prefer those which exceed expectations. We get the feeling New Chapter Zyflamend Nighttime – a sleep support supplement – can do just that. Unique identity. Rare sleep product which also helps ramp up antioxidant protection. Impressive anti-inflammatory properties. Has both turmeric and ginger. Extra health benefits. Better heart health and improved digestion, to name a few. Suggested use: Two capsules with food one hour before bedtime. Do not exceed suggested use. Not recommended for use in children. Perhaps you’ve seen our sleep product reviews here on B5. Tossing and turning at night happens to the best of them – even to the most seasoned bodybuilding enthusiast. No matter how committed you are to your fitness program, your personal concerns may make your mind go 100 miles per hour when you hit the sack. A sleep supplement such as ERGOGENIX ERGOZZZ should fit the bill – its 525 percent of the daily value for Vitamin B6 and extra health benefits were some of the reasons why we gave it a perfect grade. We’re hoping more products like that would come your way – we’re 100 percent sure you’ll sleep like a baby. Well, on that note, we’re hoping New Chapter Zyflamend Nighttime meets lofty expectations. This supplement “is designed to help you enjoy a deep and restful sleep through a combination of multiple time-tested herbs such as lemon balm, hops, chamomile, and valerian,” per its official website. “The whole food antioxidants in Zyflamend Nighttime can also quench free radicals and support healthy aging,” per the same source. A sleep product which relies on time-tested herbs and whole food antioxidants? Sleep better and enjoy better long-term health with New Chapter Zyflamend Nighttime. When we first sized up the ingredients list, we saw a combination of the usual sleep supplement ingredients (lemon balm, chamomile, valerian, etc.) and the non-traditional ones (turmeric, ginger, and holy basil). That tells us New Chapter Zyflamend Nighttime has a unique identity – it should lure more consumers its way. Its main ingredient is 150 milligrams of holy basil (Ocimum sanctum)(leaf) per serving. It’s an adaptogenic herb which hails from the mint family. Its main benefit: its ability to ward off cortisol, the dreaded stress hormone. Stress is one of the leading causes of insomnia. The more you think at night, the more stressed out you feel. Guess what? High stress levels won’t make you sleep through the night, that’s for sure. Holy basil helps keep cortisol levels and hormonal imbalance in check. In other words, it helps nip insomnia in the bud by addressing the root cause – stress. We like the manufacturer shining the spotlight on holy basil – we’re confident it will help you sleep longer. Next up are 100 milligrams of turmeric (Curcuma longa)(rhizome) per serving. If you don’t know what turmeric is, you’re missing out. Turmeric is an herbaceous plant and a member of the ginger family. Many health experts consider it as a superfood. If you hit the weights hard, your joints may be prone to inflammation. Well, consuming turmeric is a great preventive measure. We say its inclusion in New Chapter Zyflamend Nighttime will help shorten your recovery time. The next few ingredients are the more typical ones you find on the sleep supplement market. New Chapter Zyflamend Nighttime also has 100 milligrams of Chinese skullcap (Scutellaria baicalensis)(root) per serving. This is an herb which the Chinese have been using for thousands of years. Just like Holy basil, Chinese skullcap is also a member of the mint family. Some experts say it helps consumers quell anxiety before sleeping. Chinese skullcap is also a nerve tonic which helps lower oxidative stress levels. Plus, it also acts as a powerful antioxidant. Not only that, but it also helps keep inflammation at bay. So, with Chinese skullcap, you get the combined benefits of Holy basil and turmeric for a better night’s rest. New Chapter Zylfamend Nighttime’s next key ingredient is 85 milligrams of lemon balm (Melissa officinalis)(leaf) per serving. Meet another component which helps stop anxiety dead in its tracks. The key: eugenol, an oily substance which keeps bacterial activity in check. Plus, lemon balm is also another potent antioxidant. With that, New Chapter Zyflamend Nighttime is shaping up to be your go-to sleep supplement for lower anxiety levels and increased antioxidant protection, folks. Plus, nobody can dispute the effectiveness of lemon balm extract – people have been using it since the Dark Ages. It’s that efficient. As for us, we’re glad it’s in New Chapter Zyflamend Nighttime. Another typical sleep product ingredient is chamomile (Matricaria recutita)(flower). This supplement has 75 milligrams per two-capsule serving. Chamomile has a flavonoid known as chrysin which helps you fall asleep faster. We said it before, we’ll say it again: chamomile is not only a top-notch sedative, but it’s also a great asset for long-term health. We believe 75 milligrams per serving will go a long way – most sleep products have around 50 milligrams of chamomile per serving or so. Next up is 75 milligrams of hops (Humulus lupulus)(strobiles) per serving. Would you believe hops is a component of beer? Well, it turns out this beer component has great health benefits. An ingredient which helps support better sleep, increase antioxidant protection, and boost heart health? It sounds like a winner to us, folks. Listen, 75 milligrams of hops per serving is not the most in the industry (some, like Peak Life Somnapure, have 120 milligrams per serving), but it’ll do. New Chapter Zyflamend Nighttime also has 75 milligrams of ginger (Zingiber officinale)(rhizome) per serving. Who can dispute the power of ginger, another powerful anti-inflammatory ingredient? Like turmeric, ginger is another time-tested ingredient. It’s rare to find a sleep product which has the latter component. We believe ginger will help shorten your recovery time and improve your overall health. New Chapter Zyflamend Nighttime’s last key ingredient is 40 milligrams of valerian (Valeriana officinalis)(root) per serving. Long story short, valerian root is known for its ability to induce relaxation prior to bedtime. In addition, it helps regulate blood pressure levels and ward off menstrual cramps. This supplement’s valerian root content pales in comparison to the likes of Peak Life Somnapure (which has more than 12 times the amount at 500 milligrams per serving). Does that mean New Chapter Zyflamend Nighttime is a slouch? It simply means the manufacturer places a premium on other ingredients. Like we said, this product has a unique identity. On paper, New Chapter Zyflamend Nighttime looks like a great sleep supplement. Put it this way, folks: around three out of every four people say it works for them. The percentage could be higher, but that’s not bad at all. We hope – and we’re confident – it will work well for you. Holy basil (Ocimum sanctum)(leaf), 150 mg: An adaptogenic herb and member of the mint family which helps lower cortisol levels and keep hormonal imbalance in check for better sleep. Turmeric (Curcuma longa)(rhizome), 100 mg: An herbaceous plant and member of the ginger amily which helps ward off inflammation and free radicals, improve cognitive function, boost heart, joint, and muscle health; and enhance mood. These, plus a slew of other health benefits, help turmeric earn its superfood title. Chinese skullcap (Scutellaria baicalensis)(root), 100 mg: Another member of the mint family and nerve tonic which helps lower anxiety levels for better sleep quality. Chinese skullcap also helps keep inflammation at bay. Lemon balm (Melissa officinalis)(leaf), 85 mg: A staple sleep supplement ingredient which has an oily substance known as eugenol. This substance helps quell anxiety for better and deeper sleep. In addition, lemon balm also acts as a potent antioxidant. Awesome. Chamomile (Matricaria recutita)(flower), 75 mg: Has a flavonoid known as chrysin for improved sleep quality. Chamomile also helps regulate the immune system, ward off inflammation, regulate blood sugar levels, and keep muscle spasms at bay. Hops (Humulus lupus)(strobiles), 75 mg: A component of beer which helps promote better sleep and heart health as well as increased antioxidant protection. Ginger (Zingiber officinale)(rhizome), 75 mg: A powerful anti-inflammatory ingredient which also helps boost bone and jiont health. Ginger also helps keep free radicals at bay, regulate digestion, and promote healthy blood sugar and cholesterol levels. Valerian (Valeriana officinalis)(root), 40 mg: A common sleep product ingredient which helps quell anxiety, regulate blood pressure levels, and keep menstrual cramps at bay. Right off the bat, we said New Chapter Zyflamend Nighttime has a unique identity. For starters, where can you find a sleep support ingredient which features Holy basil as its main ingredient? For some manufacturers, it’s valerian root extract. Not this one, folks: it ventures into unchartered territory. The folks at New Chapter stressed this product’s emphasis on herbs and antioxidants for better sleep, shorter recovery time, and long-term health. We believe it will get the job done. Key ingredients such as Holy basil, valerian root, and Chinese skullcap get to the heart of the matter: stress. Once you lower your stress levels, you will enjoy better sleep. No doubt about it. We’re confident New Chapter Zyflamend Nighttime can do that for you. Hey, this product’s anti-inflammatory properties are off the charts – whenever your sleep supplement has both turmeric and ginger, you will shorten your recovery time. This is precisely what every active bodybuilder wants. New Chapter Zyflamend Nighttime’s ingredient amounts and transparency are excellent as well. You won’t find any shady proprietary blends here. No fillers, too. Just about the only chink is its reputation – some customers say it didn’t work for them. Bear in mind, they’re in the minority – roughly three out of every four consumers say it worked wonders. With that, we say New Chapter Zyflamend Nighttime is a worthy addition to your supplement stack. New Chapter Zyflamend Nighttime offers “a deep and satisfying sleep” and reduces “the cellular damage caused by free radicals,” per its official website. With this product’s premium ingredients, we couldn’t agree more. 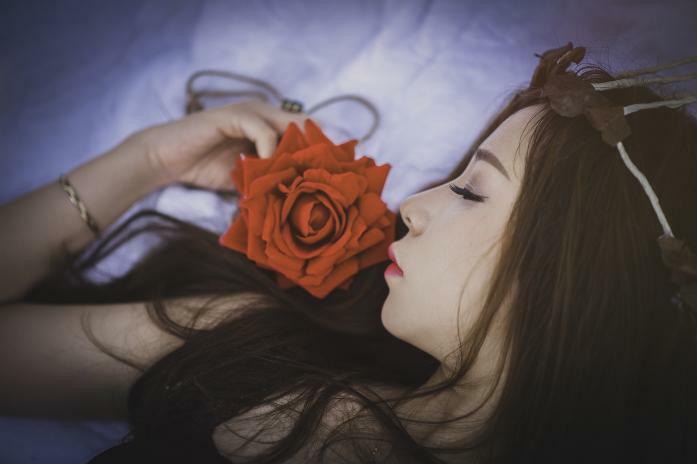 The manufacturer intended New Chapter Zyflamend Nighttime for healthy individuals who are at least 18 years of age who want to improve sleep quality, increase antioxidant protection, boost long-term health, and improve overall quality of life. While New Chapter Zyflamend Nighttime has no glaring side effects, please consult your physician prior to purchase if you feel doubtful about any of its ingredients. Unique identity. Sleep supplement for deeper sleep and increased antioxidant protection. Premium ingredients. The list speaks for itself. Impressive anti-inflammatory properties. Rare sleep product which has both turmeric and ginger. Extra health benefits. Better heart health, improved blood pressure levels, and more efficient digestion, to name a few. Great transparency. No shady proprietary blends. Bravo. No fillers. Clean ingredients all around. Awesome. If you’re keen on purchasing a unique sleep supplement which goes the extra mile, you’ve found it. Not only will New Chapter Zyflamend Nighttime help you sleep better, but it will also help improve your long-term health. It’s not as perfect as the likes of Peak Life Somnapure, but it’s still great. 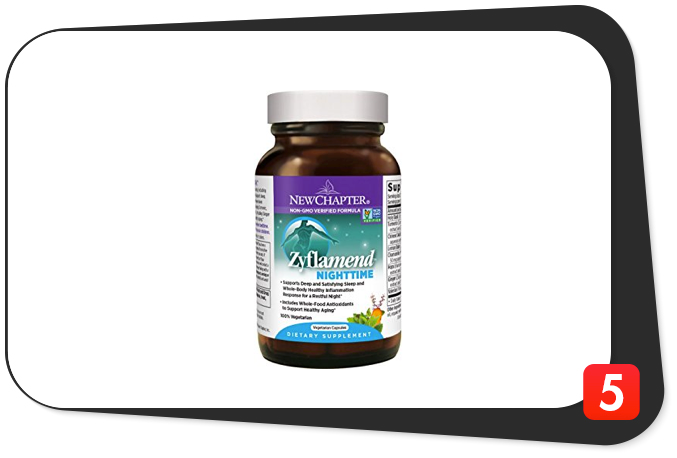 We highly recommend you buy New Chapter Zyflamend Nighttime and reap its immense benefits today.